Click on the thumbnail below for a sample! INTRODUCING THE OFFICIAL MARK CRILLEY FACEBOOK PAGE! I just launched my official Facebook page and would love to have you join me there. I hope to build it into the perfect place to keep track of everything I'm up to, from new books to upcoming projects to my latest videos. So if you're on Facebook (and who isn't?) please go over there and click "Like." Thanks so much for your support! BRODY'S GHOST BOOK 3 IN STORES! [5.5.12]The latest volume in the Brody's Ghost series is now on the shelves, and I dare say it contains the most surprising twists and turns yet. You can order it here at Barnes & Noble.com or here at Amazon. Cover Art for "Mastering Manga"
"MASTERING MANGA" NOW IN STORES! [5.5.12] I'm pleased to announce that my first ever how-to-draw book has been published by Impact Books. You can find it at your local bookstore or order online at Barnes & Noble.com or Amazon.com. Want to get a preview of MASTERING MANGA? Click here to take a peek! "BRODY'S GHOST" BOOKS 1 & 2 IN STORES AND AVAILABLE FOR PURCHASE! [1.27.11] The first two books in the Brody's Ghost series are now on the shelves and ready to ship. You can get VOLUME ONE by following these links to Barnes & Noble.com and Amazon.com , and by searching for the title at other online retailers. But why stop with volume one? :) VOLUME TWO is also out and ready for purchasing at Barnes & Noble.com and Amazon.com . Thanks so much to anyone who orders these books! I am very nearly done with BRODY'S GHOST VOLUME THREE and will be back soon with links for pre-ordering the book, which is scheduled for released on May 1st, 2012. "Crilley is a great storyteller and artist, and both strengths show here... He's especially good at facial expressions that nail what the characters must be feeling. If you like that style, you'll want to pick this up. If it's a turn-off, try it anyway and let the story grab you instead." You can read the rest of the review right here. As for the book itself, word has it Dark Horse got its shipment from the printer today, so with any luck it will be in stores within the next week or so. BRODY'S GHOST NOW AVAILABLE FOR PRE-ORDER! My upcoming series from Dark Horse Comics, Brody's Ghost, can be pre-ordered at many online stores, including Amazon (at left). A big thank you to anyone who makes the purchase in advance, which provides vital proof to the publisher that the series will find a strong, dedicated audience. I'll be back in the months ahead with sneak peek material unavailable anywhere else. In the meantime, do check out my YouTube and DeviantArt links above, as that's where a good deal of Brody-related artwork already resides. Welcome to my website! Looking for Akiko comics and merchandise? Click here! Interested in having me speak at your school or library? Click here! Looking to send me an e-mail? Scroll to the bottom of the page! COMING FROM DARK HORSE: BRODY'S GHOST! [12.16.09] I can finally announce my latest project, a new graphic novel series from one of America's largest and most respected comics publishers, Dark Horse. The first book in the planned 6-book series is due in stores next summer. You can bet I'll be back with plenty of info about Brody's Ghost in the months ahead. Until then, please have a look at the sample art at right, taken from an 8-page color preview story that will soon be viewable online at no cost. ARTICLE IN TEACHER/LIBRARIAN [10.16.09] I was recently invited by Teacher Librarian magazine to write an article about using comics to teach writing in schools. Apologies to readers who have come here looking for the teaching materials mentioned in that article: Recent deadlines have prevented me from getting those printouts on the site, but they are coming soon. Thanks for your patience! ROMEO LIBRARY APPEARANCE ARTICLE [7.16.09] My recent appearance at the Kezar Library in Romeo, Michigan, resulted in a nice little article in the local paper. You can read it online right here. Special thanks to the Four County Community Foundation for making the visit possible! MIKI FALLS FEATURED ON MYBOOKLIST.COM [7.4.09] Mybooklist.com has chosen Miki Falls: Spring as their featured book for the month of July. The page they've devoted to it includes a short interview with Yours Truly, so do check it out. Thanks so much, Darla, for your support! "My conference presentation went well. Now thirty Michigan librarians know how geeky I am about comic book page layouts..."
"Just got my copies of "The Enormous Egg", with illustrations by Yours Truly. And they ain't too shabby, if I do say so myself... :')"
"The Crilley family's new favorite ice cream: Cold Stone banana. Mmmm...."
Thanks in advance to anyone who chooses to follow my updates. I'll do my best not to bore you all to death! "ENORMOUS EGG" IN STORES NOW [4.17.09] My re-illustrated version of Oliver Butterworth's "The Enormous Egg" has now hit the shelves, allowing a whole new generation of readers to enjoy this beloved classic tale of a boy and his triceratops. At left is a direct link to Amazon if you'd like to grab a copy. RE-ILLUSTRATED "ENORMOUS EGG" NEARING RELEASE [3.28.09] Little, Brown & Co. tell me that my newly re-illustrated edition of Oliver Butterworth's classic "The Enormous Egg" will soon be in stores. Click on the graphic at left to view a mock-up of the front cover (this from the audio book edition) and a sample of one of my interior illustrations. It was a huge honor to be chosen as the new illustrator for this much beloved story, which has never gone out of print since it was first published in 1956. I'm very excited to see the finished books once they're off the presses. As soon as I get a precise on-sale date I'll let you all know. "Over the past three and a half years I�ve read dozens of kids� books to my secret panel of advisers -- from when they were ages 5 and 8 through their ages now, 8 and 11, a boy and a girl. Our titles spanned contemporary bestsellers like Artemis Fowl and Inkheart, classics like Anne of Green Gables and Oliver Twist, and series from My Teacher is an Alien and His Dark Materials trilogy. I read Harry Potter to my son. All the books engaged them � they�re bright kids. But we had more laughs, more smiles and more pure enjoyment from the Akiko series than any of the above mentioned books, however acclaimed and great they may be." Thanks so much, Diane. "Laughs, smiles and pure enjoyment" is always what I'm going for with Akiko, so I'm delighted to hear you've found them in the latest book, and in the series as a whole. You can see the rest of Diane's list right here. 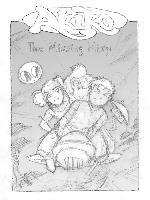 "MISSING MISP" IN STORES NOW [11.12.08] The tenth book in the Akiko series has just hit the shelves, and since this time-travelling tale has Akiko visiting the planet Smoo of many years ago, I can guarantee it allows you to see Spuckler, Mr. Beeba, Gax, and Poog as you've never seen them before! Thanks in advance to anyone who picks up a copy. If you'd like to get it online, just click here. "This fun, light sci-fi romp fits in nicely with its predecessors and is a pleasant addition to this long-standing series. Thanks to plenty of fill-in references to her previous adventures, new readers can easily delve into this installment, although most will likely seek out prior volumes to catch up on more of Akiko�s intergalactic escapades." It always nice to get the thumbs up from reviewers as respected as those at Kirkus. Thanks in advance to anyone who picks up the book. If you'd like to get it at Amazon, here's the direct link. MIKI FALLS TO BE FEATURED ON JAPANESE TV [9.10.08] I've just gotten word that on September 30th Miki Falls will be featured on the Japanese NHK television program "Imagine-Nation", a half-hour weekly news magazine focusing on Japanese comics, anime and games. It may be possible to view the segment online at some point. I'll keep you all posted! "Crilley is best known for his "Akiko" young adult novels and comicbooks. 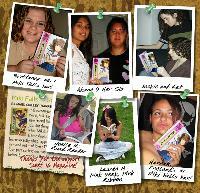 His first "Miki Falls" tome, each of which span a season of the calendar, was published in May 2007 by HarperTeen. "Gamble is a producer of the CW Network series "Supernatural" and was a staff writer on "Eyes," which aired on ABC." Sadly I don't have any more news at this stage than the rest of you, but I'll keep you posted as it comes in! RE-ILLUSTRATING "THE ENORMOUS EGG" [7.30.08] I'm very proud to announce that Little, Brown has selected me as their illustrator of choice for an April 2009 reissue of the classic 1950's chapter book, The Enormous Egg by Oliver Butterworth. 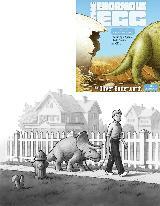 It is a huge honor to be entrusted with re-illustrating this beloved book for a new generation, and I am doing my best to do justice to the unforgettable story it tells: that of a boy and his--get this--pet triceratops. I will have sample illustrations to share in the months ahead, but for now I'll just let you all know how pleased I am to be making my debut, in a sense, as an illustrator. Until now I have only illustrated books I have also written, so I see this as a big step into a whole new field. With any luck there will be other such projects in the years to come. FRONT PAGE FEATURE ON YOUTUBE [6.7.08] YouTube has put one of my videos on its front page, taking it from something like 30,000 views to well over 200,000 views overnight. Thanks, YouTube, for this crucial support! AKIKO & THE MISSING MISP COVER ART [4.19.08] Sorry for having taken an extended break from updating the website, friends! I'll try to get back on top of things in the weeks and months ahead. I'm happy to report that all the work is now done on Akiko and the Missing Misp, the tenth Akiko novel from Random House. I'll be showing sneak peeks of the interior artwork as we get nearer to the publication date (this coming Nov. 11th), but in the meantime here's the final cover art, in which we see the younger versions of Mr. Beeba, Spuckler, Poog and Gax. MIKI FALLS ON ALA'S "GREAT GRAPHIC NOVEL FOR TEENS" LIST [2.2.08] The American Library Association has put all three eligible Miki Falls books--the ones published last year--on its 2008 "Great Graphic Novels for Teens" list. It's one of only a dozen or so manga titles to make the list. You can see the entire list right here. GLOWING REVIEW FOR "FLIGHTS OF FANCY" [1.8.08] Matt Brady over at Newsarama.com has given my new Akiko collection a real rave review, declaring the series itself to be "indisputably one of the great all-ages adventure comic book series of all time." You can read the entire review right here, though you'll have to scroll down about a third of the way through the page to get to it. Special thanks to longtime Akiko reader Dan Stroshine for pointing this review out to me! MIKI FALLS WINTER COMING SOON! [12.17.07] Not too much to report these days, but I did want to make sure everyone knows that the final book in the Miki Falls series, Miki Falls: Winter, hits the bookstore shelves Jan. 1st, about two weeks from now. The completed volumes of Miki Falls represent the equivalent of about 22 issues of a conventional comic book series published over a period of just eight months--close to three issues per month--so it has been for me truly the most productive period of my career so far. My deepest appreciaton to anyone who has supported the series; it's been a thrill to hear from people who have enjoyed reading Miki's story as much as I have creating it. FLIGHTS OF FANCY: THE EXPANDED EDITION [11.22.07] Sirius Entertainment has released a much-expanded edition of the "Akiko Flights of Fancy" trade paperback, a collection of the short back-up features that were included with most of the 52 issues of the Akiko comic book series. There are a number of things I miss about the work situation I had when Akiko was being published, and foremost among them is the complete artistic freedom Sirius gave me to write and draw pretty much anything I wanted to from one issue to the next. That carefree, "hmm-let's-try-this" spirit is very much in evidence in Flights of Fancy, and I'm delighted at the prospect of this material being rediscovered by way of this new book. In keeping with Akiko's cultish status this new volume is going to be very hard to find, even in specialty comic book stores, so if you're interested I'd urge you to go straight to the source and order it from Cosmic Therapy. In other news I'd just like to somewhat sheepishly announce that I will no longer be attempting to hold to my 'Updated Every Monday' pledge here on the website. These days I am adding new Youtube videos and Deviantart illustrations at a rate of at least one per week, sometimes more, so I think that's where my internet energies will be focused for the near future. I will keep updating the website whenever there's news to share, but I expect that will be more on the order of once a month or so. Thanks for your patience! Cover Art from "Akiko and the Missing Misp"
The Expanded "Flights of Fancy"
Thanks in advance to anyone who buys either of these books. I greatly appreciate the support! MANGABLOG: COMPLETE PUBLISHERS WEEKLY INTERVIEW [9.4.07] Brigid Alverson has kindly run the entirety of our interview over at Mangablog.net. This probably constitutes the most complete Miki Falls interview yet, so it's well worth checking out if you're curious about Miki and her origins. FIRST GLIMPSE: AKIKO AND THE MISSING MISP [8.28.07] I have just completed the manuscript for the 10th Akiko novel from Random House--a time travel story--and am now beginning work on the illustrations. Here is the rough sketch for the front cover in which you will see what Akiko's friends look like 25 years younger! Click here to see what Warren and other comics professionals had to say about it. Meanwhile author Neil Cohn wrote at length about my quote over on his blog. PUBLISHERS WEEKLY FEATURES MIKI FALLS [8.22.07] Just wanted to quickly post this link to Brigid Alverson's wonderfully kind feature article in the latest issue of Publishers Weekly. Also Journalista, the news weblog of The Comics Journal, has pulled a line or two from the article (in which I rather recklessly declare manga to be "the language of this generation"!) and run it as their quote of the day. Thanks so much, Brigid, for shining a spotlight on Miki Falls! MORE MIKI FALLS FAN ART [8.20.07] Hi friends, sorry I missed my update last week: I'm in the final push to complete Miki Falls: Winter and time is scarce! There should always be time, though, to show off beautiful artwork by supportive readers. 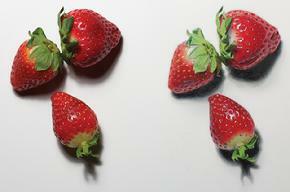 Here is a thumbnail featuring two different renderings of Miki. The one at left is by a young woman who goes by the name of Kitari Blade (and includes "Silence", a character of her own creation). At right is a "Miki meets Bleach" illustration by longtime internet comics reviewer Dave Van Domelen. Thanks, Kitari and Dave, for two fantastic pieces of art! Special thanks to Comic Pants.com, where Dave Farabee has twice included one of the Miki Falls books in his "Top Five Friday" list. Next week I'll be back with a first glimpse look at a cover art sketch for "Akiko and the Missing Misp," the tenth Akiko novel from Random House! Art from Kitari and Dave! GLOWING REVIEWS FOR MIKI [8.6.07] Today was National Review Miki Falls Positively Day, or so it seemed as I was made aware of three different new reviews, all of them with extremely nice things to say about Miki Falls. "Beautifully written and drawn, Spring nonetheless threw me a curve as I started reading it... Crilley�s new work seemed to be a typical �schoolgirl in love with unattainable guy� manga-style story. Silly me. "By the end of the first book, with the reveal of why handsome Hiro shuns the company of Miki and others, Miki Falls is likewise revealed to be a modern mythology with a delicious romantic center. The nature of this mythology demands I tiptoe around plot elements. Don�t let my silence dissuade you from checking out a brilliant new series by one of comicdom�s best storytellers. Miki Falls: Spring earns the full five Tonys." Thanks so much, Tony! I really appreciate you endorsing my new project so strongly. "Crilley�s art has come a long with since Akiko. The page layouts are more dynamic, making greater use of extreme close-ups and angles to enhance the drama and bring out nuances of the characters� reactions. Yet the characters retain the sense of originality and humanity that made the most outrageous characters in Akiko feel as real as your best friend. In Miki Falls, nuanced pencil shading gives depth to each panel, and the pages are composed to draw the reader into the characters� world, making you feel part of what�s occurring. Crilley�s choice to frequently forgo the exclusionary walls of traditional panels gives the images room to spill over into the reader�s imagination." "The soft black-and-white illustrations perfectly complement this gentle, at times hopeful, and at times heartbreaking story about young love. Highly recommended, as is the first graphic novel "Miki Falls: Spring". Thanks so much for the support, everyone. It's a real thrill to have this new series so highly regarded and warmly embraced by critics. COMING SOON: PUBLISHERS WEEKLY INTERVIEW [7.30.07] I was interviewed last Friday by Brigid Alverson, the creator of mangablog.net, who is working on an article about Miki Falls for Publishers Weekly. This will be the first time PW has run an article on one of my book series, so I am (needless to say) pretty excited about it! I'll let you all know when it hits the stands and see if I can quote a passage or two here on the website. "Crilley�s art has continued to refine itself over the years, and as much as I�ve liked his work on Akiko, Miki Falls is his best creation to date." Thanks so much, Greg. I really appreciate your enthusiastic support for Miki! "What initially appears to be a typical tale of a girl blindly pursuing an unavailable boy develops into an intriguing, complex story... the description and dialogue flesh out the story and create a sort of hybrid of Japanese- and American-style comics that will appeal to fans of shojo manga and romantic fiction. The series manages to be all these things and more." Thanks, VOYA, for one of the best reviews yet! PAGE-O-METER UPDATE: NEARING THE HOME STRETCH! [7.1.07] In celebration of completing all my work on Miki Falls: Autumn(due out October 1st), I've updated my "page-o-meter" to show how close I am to finishing the job. Some people have got hold of Miki Falls: Summer already and response so far is very positive. Hopefully I'll have some reviews for you by this time next week. Also word has it that Publishers Weekly is going to do an article on me and my books, including both Akiko and Miki Falls. I'll keep you posted! NEW GRAPHICS: BULLETIN BOARD AND ITALIAN BOOKMARK [6.24.07] Hello friends! Sorry my 'updated every Monday' website has been unchanged the last couple Mondays; just catching up on deadlines. To make amends I've added two new graphics this week. First up is a bulletin board for displaying the photos I've been sent by Miki Falls readers. It's such a thrill to see the book reaching readers! Next is a promotional bookmark being produced by the publishers of an upcoming Italian edition of the Akiko comic book series. I was so thrilled with the classy design they came up I wanted to make sure my readers outside of Italy (ie, pretty much all my readers!) got a peek at it. ..."MIKI FALLS: SUMMER" ARRIVES IN BOOKSTORES SUNDAY, JULY 1ST!!! (Ahem!) Thanks in advance to anyone who buys it. I personally feel it surpasses the first book in most respects. What can I say, I hope you'll agree! NEWSPAPER ARTICLE: LIVE IN LIVONIA [6.3.07] Rebecca Jones covered one of my recent school appearances at Hoover Elementary in Livonia, Michigan for the Observer & Eccentric newspapers. You can view one of the photos at left, and see a couple more--along with the full article--right here. Special thanks to Loren Schnell, who organized my visit to the school. SWEET 16 MAGAZINE FEATURES MIKI FALLS [5.26.07] I've just had word that the editors of Sweet 16 magazine have selected Miki Falls: Summer (due in stores July 1st) as one just seven books they're recommending as summer reads for 2007. Meanwhile Mangalife.com has given Miki Falls: Spring a positive review, calling it "smart, funny and endearing." You can read the full review here. Finally, Akiko reader Susan Brand has pointed out an instance of life imitating art. This Reuters article discusses Japanese sake as a fuels source, just as I did in the Akiko comic story arc "Stranded in Komura." Thanks for spotting this, Susan! NEW SECTION: READER REVIEWS [5.21.07] Scroll down to check out some of the kind words readers have sent me about Miki Falls: Spring. MIKI FALLS AUTUMN: PAGE ONE [5.14.07] Things are going to be pretty hectic in the coming weeks as I hustle to meet deadlines on Miki Falls: Autumn, so please forgive me if I miss a Monday update here and there! Speaking of Autumn, here's a sneak peek at the opening page final art. I'm doing my best to make this volume really capture the season it's named after! "I got Miki Falls: Spring like about two weeks ago I think.... well..... it's rrreeeaalllyyyy GREAT! In the end i was wondering who the real Miki is..... i am really hoping that summer will come out soon....."
"I got your book and it was super. It was more of a book than a manga and think that is why I love it so much and I would have never thought that a guy would be a love person I think it is super duper." "I GOT YOUR BOOK MARK!!! IT WAS FANTAAAASSSTIC. As my sister commented as well, "It was the shiz." "omg mark i got ur book thursday!!! lets just say i know ppl who know ppl at the book store!^^ and it was really really really amazing!...omg so good!!! lmao i cant stop going on about it!!" "I absolutely loved everything about Miki Falls. The artwork, the story, and even just they way everything was spaced out made this a masterpiece." "This book is absolutely beautiful." "I'm in the process of reading your book which is amazing, really. I left it on the kitchen counter and my younger sister confessed she couldn't stop reading it when she picked it up." "I have to tell you I finished Spring and I was speechless. Can't wait to read Summer. I loved the preview of the next book and made me want to read it all the more." "I loved it Mark! It was great to actually see everything that you've been demonstrating for us on the youtube vids in print. Also, Yumi totally rocked and her outfits were really cute. Sorry if I'm jumping from topic to topic. The next is the secret. I would never have guessed a secret that big was in the basement. Well, now that we know, let the fun begin. YAY!!! Any-who, can't wait for new twists and turns. I love those!!!" "I just wanted to say thank you for signing my book and that i have now officially read the Miki Falls book three times through!!! i loved the book!! and my brother Alex said that he is almost done and can't put it down." I will likely be back with another update later in the week! YOUTUBE VIDEO #10: WHAT IS MIKI FALLS REALLY ABOUT? [4.23.07] This video tells you, at long last, everything I'm willing to say about the plot of Miki Falls. There is nothing in here that I would call a "spoiler", but if you really don't want to know anything more about the book before you read it, then you might want to skip this one. "A young girl�s journey into love evolves with the seasons in the stellar first volume of a quartet. (...) Complex characters combine with masterful, expressive art culminating in an arresting new series for teen readers. The soft, gentle romance between Miki and Hiro is brilliantly juxtaposed with the darker elements of the story creating a salient tension between the two, and crescendos in the next volume entitled Summer." Mystery reviewer, whoever you are, I thank you from the bottom of my heart! And while the blogosphere has not exactly been abuzz about Miki, one blogger--who goes by the name Lucy Anne--has weighed in with a very positive review indeed. You can check it out right here. LOOKING FOR MY EARLIER YOUTUBE VIDEOS? I've moved them to The Gallery. "Crilley�s manga-inspired illustrations are terrific. Ranging from crisscrossing sequential panels to spot art, varied in size and artfully connected to further the plot, the pictures cleverly instill the story with abundant emotion, humor, and drama. An overlay of light shading and almost delicately rendered facial features and details give the book a softer feel than much manga." Since reviewers of my Akiko rarely have anything to say about the illustrations, it's a real pleasure to have the art singled out like this. Here's hoping other reviewers feel similarly! "Your books, Miki Falls: Spring by Mark Crilley and Miki Falls: Summer have been nominated for the new list which will come out in January of 2008." Wow! The cool thing is this is almost certainly based only on the rough versions of the books; I'll bet they haven't even seen the final art yet. Libraries are a huge part of my life, so it's especially nice to get this kind of recognition. IN THE WORKS: A NEW EDITION OF 'FLIGHTS OF FANCY' [2.18.07] Sirius Entertainment is working on a new expanded edition of 'FLIGHTS OF FANCY', the trade paperback that collects my comic strips and back-up features from the Akiko series. Watch this space for further updates! THE STUDENTS MADE ME DO IT: "MR. SPUCKBEEB"! 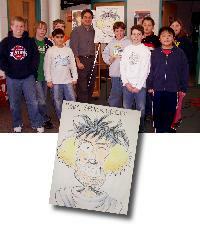 [2.12.07] Last Thursday I had the pleasure of a return invitation to speak at Waterford Village Elementary. During one of my presentations a young woman asked if I could draw a combination of two characters. The result: Mr. Spuckbeeb! For more photos from the visit, click on over to my blog. A PUBLISHING FIRST: THE PAGE-O-METER! [1.28.07] In celebration of having passed the halfway point in the completion of Miki Falls, I've created an extremely silly bar graph to show readers (and, truth to tell, myself) how close I am to finishing the approximately 665 pages that will comprise the four books in the series. Just click the thumbnail and scroll, scroll, scroll! In related news, the publishing schedule of Miki Falls has been modified slightly: The first book, "Spring", comes out this May. The second book, "Summer", comes out (quite fittingly) in July. I'd love to hear your thoughts about my books and comics and will do my best to reply to your tweets. WARNING: Due to the number of e-mails I receive, it is impossible for me to reply to e-mails that are not related to business or public speaking. E-mails requesting drawing advice are particularly numerous, and will never be replied to under any circumstances. Truly the best way to communicate with me for non-business-related matters is by following me on Twitter. E-mails related to my books stand the best chance of getting a response; I'll do my best to get back to you, but I can't make any promises! Bearing that in mind, click here if you'd like to send me an e-mail. 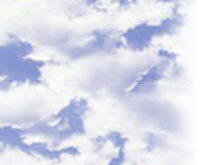 Click here for the old web site.